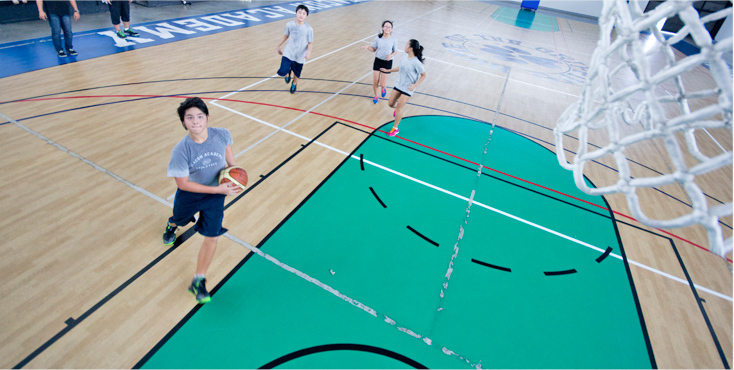 The Academy offers a range of athletic activities and clubs with a goal of building social skills and sportsmanship. The Academy also takes part in different competitions through leagues outside the school. The aim of the Student Council is to create opportunities for students to take leadership in school affairs and develop governance skills. The Student Council works closely with the school administration. The MUN aims to give students a heightened sense of global awareness. Simulating the proceedings of United Nation assemblies, students research on certain global issues, prepare resolutions to address them and debate on these issues considering the perspectives of other nations. It aims to provide an outlet for musical expression among students as well as hone and develop their musical intelligence in addition to the prescribed curriculum. The Chorale performs during school events as required by the school. This provides opportunities for students to hone their writing and creative skills as they plan content, design and write about school events and concerns. The student newsletter is released per semester. The Yearbook Committee works year-round in tandem with the different classes to produce the Griffin Annual, which is released at the end of the year. There are excellent opportunities here to work collaboratively and develop organization and computer skills. We encourage our students to share with our Student Life office any other clubs and activities they would like offered. We continue to expand our athletics program and plan to engage in more tournaments to hone the athletic skills and develop the right sportsmanlike conduct and values in our students.